Website Designs that are beautiful, SEO friendly, functional and secure. Here at North West Design Studios, we offer complete WordPress website design and custom WordPress development. From a simple five page website to an advanced e-Commerce solution with an integrated forum or membership website, we can create the ultimate solution to meet your marketing needs and objectives. All of our custom WordPress websites come with 12 months of free hosting on our premium cloud-based web servers. From our graphic designers and SEO specialists to our front-end coders, a client has access to the right expertise before and after the new site goes live. Custom WordPress development – get the Website you and your target market will love. 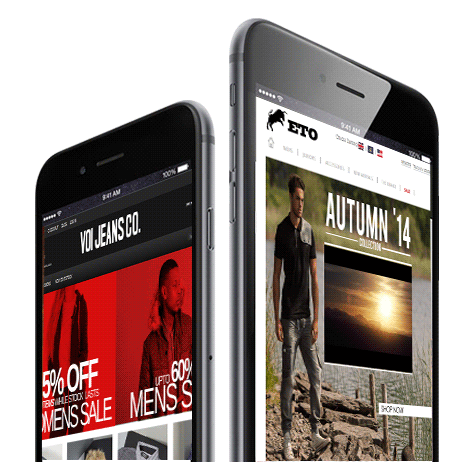 Our WordPress websites are responsive, which means they will automatically adapt to mobile devices like iPhones and iPads. Responsive website design (known as RWD) is a web design approach that provides optimal viewing across a wide range of devices. One website can accommodate desktop computer monitors, laptops, tablets and mobile phones. This saves you development time, as well as reduces on-going maintenance costs. Our work helps your website or blog rank higher in the search engines and make SEO tasks like meta information and Google+ authorship a breeze. Update or customise your WordPress website easily with the use of widgets, columns and multiple page layouts. The Internet is constantly evolving and your website should be too. Why is WordPress the CMS of choice? WordPress is online software that can be used to create a highly functional website or blog. WordPress is both free and priceless at the same time. WordPress started as a blogging system, but has evolved over the years to be used as a full content management system and so much more through the thousands of plugins, widgets and themes. The core web design software is built by hundreds of community volunteers and when you’re ready for more, there are thousands of plugins and themes available to transform your site into almost anything you can imagine. Over 25 million people have chosen WordPress to power their website or blog. Most notable users of WordPress include the likes of CNN, The New York Times, Katy Perry, The Ford Story, Wheaton College, MTV Newsroom, Mashable and WSJ Magazine. Get a FREE no obligation quote on a new WordPress website.